Acne is the most common skin condition in the United States according to the American Academy of Dermatology. Most people develop some form of acne but it is most common among teenagers or women undergoing hormonal changes. By definition, acne is the occurrence of inflamed or infected sebaceous glands in the skin or more commonly referred to as a clogged pore. The combination of the skin’s natural accumulation of dead cells at the surface of a pore and an excessive production of sebum cause the two to stick together in the pore becoming trapped inside. When bacteria gets trapped in the pore you may notice the area to become red and swollen causing an actinic cyst or nodule. Acne can be characterized by red pimples, blackheads, whiteheads, papules, pustules, nodules and cysts. It can appear on the face, back, chest, neck, shoulders, upper arms, and buttocks. It affects men and women as well as all age groups but again teens are the most commonly affected. Unfortunately, acne doesn’t just affect the appearance of the skin but can play havoc with an individual’s self-esteem, mood, and personality. 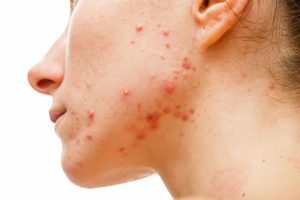 These are a few more reasons why many will seek treatment for their acne. The type of treatment recommended will be based on the severity of the condition. Our board-certified dermatologists usually see our clients first to start them on a topical and/or oral prescription if warranted. Once referred to our aestheticians, a customized treatment plan is created during the consultation. Unfortunately not every acne treatment works for everyone. Sometimes it can take a combination of treatments and products to reach one’s desired results. There may even be cases where the acne cannot be completely cleared but it can be controlled. It is important to not overlook acne especially when we are younger, cystic and nodular acne can cause scars or pigmentation if left untreated or treated inappropriately. Our spa offers several solutions such as Isolaz, microdermabrasion, chemical peels, extractions, facials and pharmaceutical grade products to help alleviate or control your acne. Please read further or call to schedule your complimentary skin consultation for acne. At some point in our lives, we have all dealt with some form of acne (pimples, pustular, cystic, blackheads, and whiteheads). Some of us still do. Acne is directly related to excessive production of sebum which can clog our pores. Acne is commonly seen in teens and women (before their periods) since their bodies are going through hormonal changes. During these changes, our sebaceous glands are excessively producing sebum. The excess sebum causes the normal bacteria that live in our skin to multiply inside our pores. The result is an inflammation in the pore which is seen as a pimple. Our first reaction when we see a pimple is to pop it. We do not recommend you do that. By popping your pimple you are actually pushing the infected material deeper into the skin which can lead to infection and increase your risk of scarring. We do recommend Isolaz. 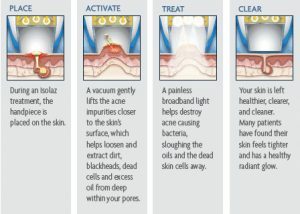 Isolaz is a unique acne therapy that combines vacuum and painless broadband light to deep clean and purifies our pores from the inside out. It is a reliable and effective acne therapy, with quick and long-lasting results for all skin types. It can be used to treat the face, neck, chest, back, and shoulders. On average we recommend four to six treatments but many of our clients will schedule treatments every one to two weeks until they have reached their desired result. Periodic appointments can be scheduled to maintain your clear skin or treat a sudden outbreak. The blackhead and whiteheads that are not affected by Isolaz are extracted manually by the aesthetician. We can customize this service further. More aggressive Isolaz treatments may include microdermabrasion or chemical peel before or after. Following treatment, you may experience an increase in redness to the treated area. This redness will subside after a few hours. Over the counter products are not always effective. Our aestheticians will customize a take-home skin care regimen with our pharmaceutical grade products to compliment your Isolaz treatment. If you do not already have a dermatologist, our aestheticians may refer you to one of our board-certified dermatologists at Premier Dermatology & Cosmetic Surgery. They can further enhance your results with prescription creams/gels, and oral medications. This non-surgical, non-invasive procedure utilizes a laser cut diamond tip in combination with light suction to improve the appearance of fine lines, uneven skin tone and pigmentation, large pores, blackheads, and light acne scars. The skin is gently sanded, removing the thicker uneven outer layer of cells/skin. It helps to thicken the collagen in the area treated. Collagen makes the skin appear taut and smooth. Skin is revitalized and more vibrant immediately following the procedure. There is no significant recovery time but you may leave a little flushed and swollen but it subsides within a few hours. The skin may be flaky and dry for a few days but we recommend Elta MD post-treatment moisturizers and balms. After all of our treatments, we recommend sun protection and sunscreen because the skin is more sensitive to sun exposure following the treatment. 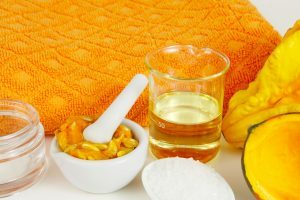 Other skin care products may be recommended following treatment to enhance or prolong the results as well. The cost of this procedure does vary depending on the area(s) being treated. As mentioned earlier the back, chest, arms, neck, and face can be affected by acne. The number of treatments is dependent on which condition it is being treated. We do recommend a series of 6 for best results. They can be spaced two to four weeks apart. It is common for our aestheticians to customize your treatment in order to obtain your desired results. 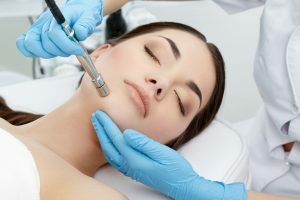 Microdermabrasion can be done before an Isolaz or chemical peel which would also affect the cost. 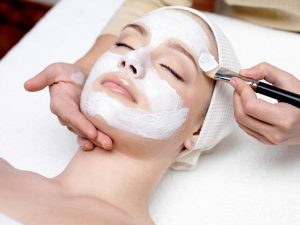 You may have tried an over-the-counter treatment at home or had one at a spa but the most effective peels are those performed by a medical professional such as a licensed aesthetician. Premier Spa & Laser Center customizes their peels to meet the needs of their clients. There is no real recovery time following this peel, but the skin may be a little red and swollen like a sunburn following the treatment but it will subside in a few hours. Sunscreen is applied when the treatment is complete and we recommend daily sunscreen use since the skin is more sensitive following the treatment. The skin may be more flaky and dry for a few days but with a good moisturizer, it is not a problem. The Vi Peel is a gentle yet powerful medical-grade chemical peel for the treatment of acne and acne scarring, fine lines and wrinkles, age and sun spots, hyperpigmentation, melasma, rosacea, enlarged pores, oil balancing, and overall skin health. This peel works to safely remove the damaged layers of the skin, promote cellular turnover, and refine the surface layer for a smoother, clearer, firmer skin that has a more youthful and radiant appearance. It combines TCA, phenol, salicylic acid, and vitamin A and a medical grade botanical blend. VI Peels are considered safe for all skin tones and ethnicities. It can be used on the face, décolletage, and hands. After the peel is applied by our aestheticians in the office it needs to remain on the skin for at least 4 hours after at which time it can be washed off. A small aftercare packet is provided to take home and used to enhance your peeling process. You may experience some redness and mild swelling. This is normal and does resolve within 24 hours. We recommend avoiding exercise or strenuous activities for at least 24-48 hours after this treatment. You will start to see peeling about two to three days after and could last up to a week of peeling. We recommend with all our services to wear sunscreen after since the skin will be more sensitive. We do recommend a series of three to four treatments spaced 3-4 weeks apart for optimal results but you will see improvement after one. The number of treatments is dependent on each individual’s skin type and level of correction needed. Cranberry has some of the most potent levels of antioxidants of any of the fruit enzymes. It is a natural form of benzoyl peroxide. Cranberry helps with oily skin and helps to calm acne prone skin. The best way to get rid of your blackheads and those white bumps on your face is having one our licensed aestheticians professionally remove them. You run the risks of scarring or infection if you try to “pop” or “pick” them yourself. The first step is properly preparing your skin for the extractions. A deep cleansing, exfoliation, and sometimes steam help soften the dead cells and sebum clogging the pores. This process helps soften the blockages so when pressure is applied the clogged material is released. Sometimes a lancet is used to help open the skin to allow the extraction to occur. It can take several sessions to remove all blackheads and whiteheads since addressing too many at one time may be too traumatic to the skin. 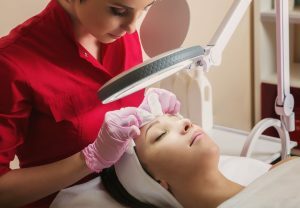 Our aestheticians may customize your treatment combining extractions with other services such as microdermabrasion, facial or Isolaz treatments.